Configurable job forms allow to create multiple job forms depending on business needs. Field team gets complete and accurate details of assigned jobs. 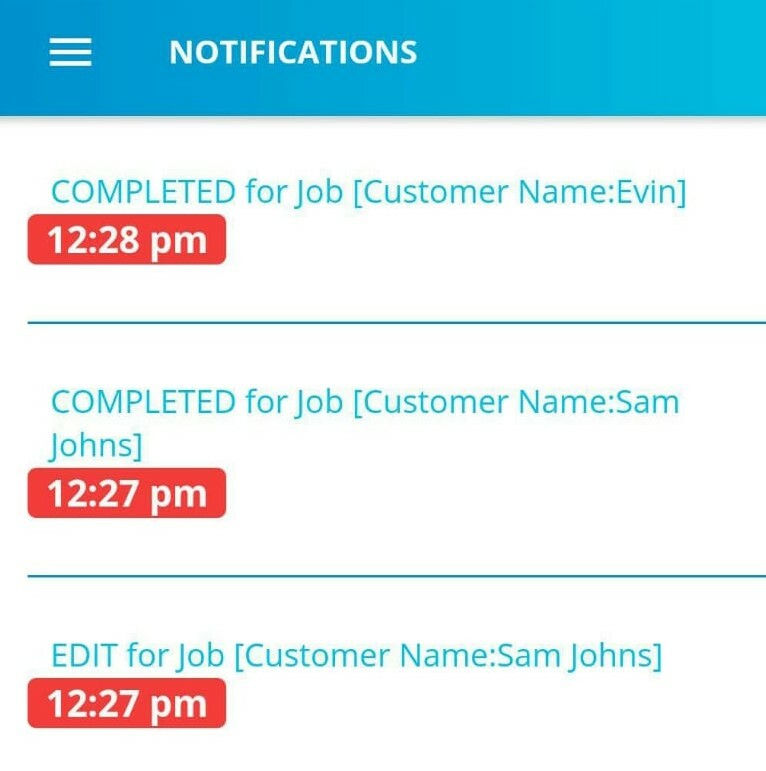 Real time notification: Receive notifications when a job is assigned or updated. Check-in/Live location capture: Provision for users to check-in at customer locations and also capture location during completion of a job. Get Accurate data: Get accurate data in real time. Click on ‘New User Register here’ link in the login page. Enter name and email id. A new account will be created, and login credentials sent to the email id provided. 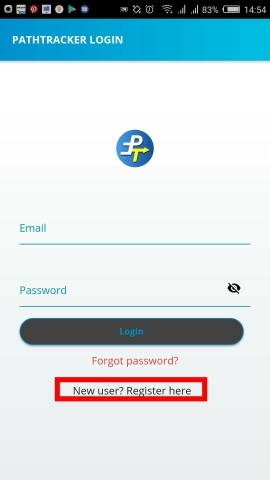 Please log in the mobile app with your registered email id and the temporary password received in email. You will be prompted to change your password at first login. Select 'Team' from App menu. Click on the Floating button at the bottom right of the page and click on Add(+) button. Enter Team member name, phone (optional), Email (mandatory) and select user privileges. Administrator: Has access to all jobs, can add/remove team members, can create job forms etc. Click on Add user. The added team member will receive an email with login credentials and app download link. Create Job forms for your team to submit and receive work assignments. You can create multiple job forms for different types of jobs. 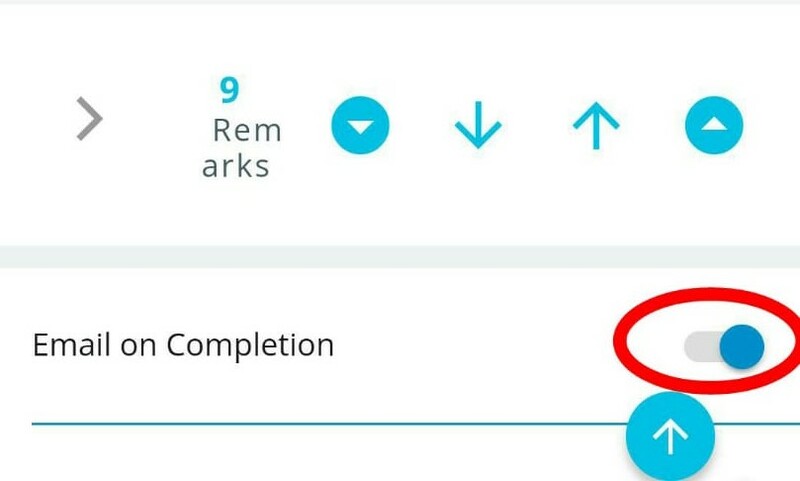 Select 'Configuration' from the App menu. Configuration page displays all job forms created for your account. Click on 'Add Job Type' from the floating menu at the bottom of the page and enter a name for the job type. 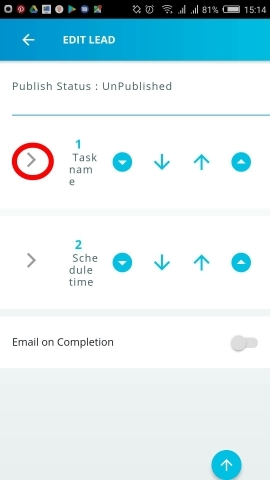 An Edit page opens with two pre-created fields- Task name and Schedule Time. A job form shall have a minimum of two fields. 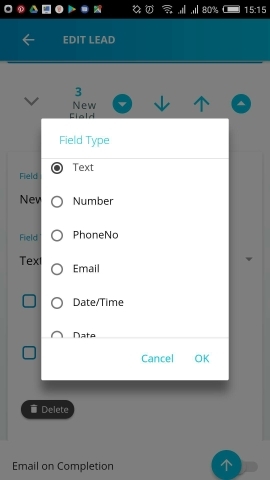 The default fields can be renamed by clicking on the (>) symbol before the field name. Add additional fields as needed by selecting 'New Field' from the floating menu on the bottom right. For each new field, the following parameters can be specified by clicking on (>) symbol before it. Email: Allows the user to enter a valid email address. Date/Time: Allows the user to enter a date and time. 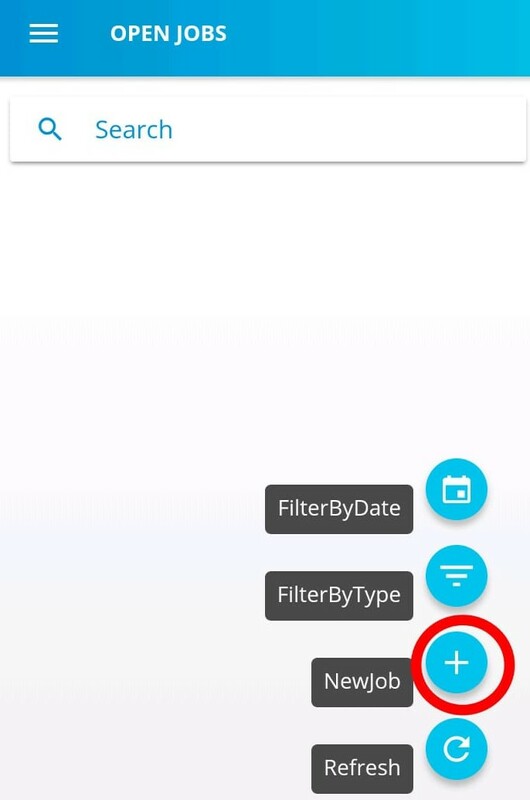 Date: Allows the user to enter a date. Landmark: Allows user to select an address from google maps. For e.g. to enter a service or delivery address. 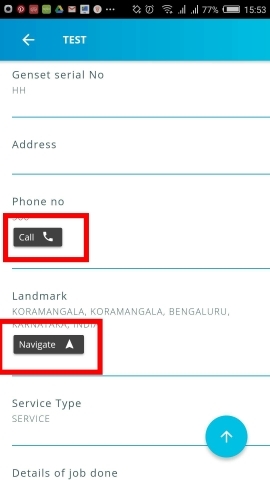 This field allows user to navigate using navigation apps such as google maps. 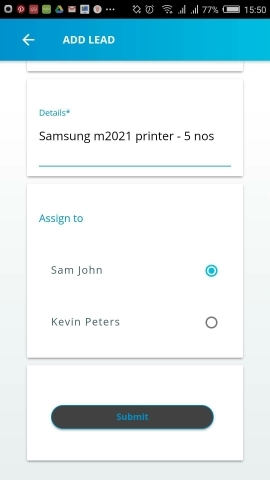 Location: This field captures user location when completing a job. Location services and permissions must be enabled. 5. Select if field is mandatory: A mandatory field is required to be filled before a job is marked as completed. 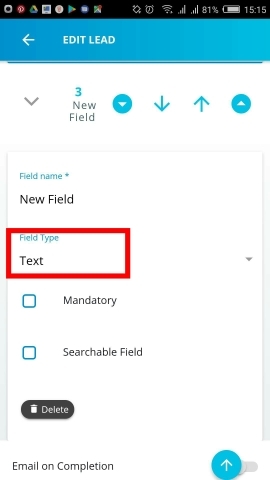 Select if field is searchable: A job form can have one searchable field in addition to the name field (i.e. the first field of the form). Select any one additional field as searchable, if needed. 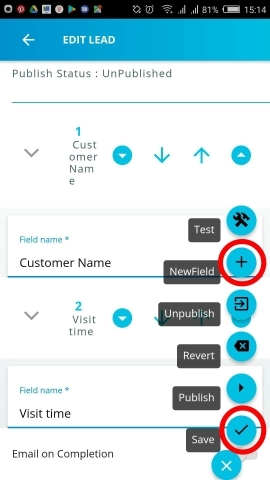 To change the order of the field in the job form, four arrow buttons are available next to the field name. Use the inner Up and Down arrow buttons to move the field up or down by one position. 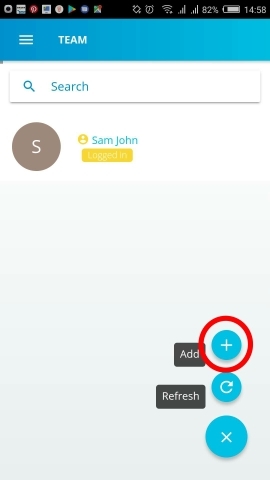 To move a field to the top or bottom of the form, use one of the outer arrow buttons. Save the job form by selecting 'save' from the Floating menu at bottom of the page. The job form fields can be tested by selecting 'Test' from the floating menu. The job form is now ready to be published. Select 'publish' from the floating menu. The job form is now accessible to all team members. After the job forms are created, jobs can be assigned to any of your team members. Users with administrator access can create and assign jobs to any other user. 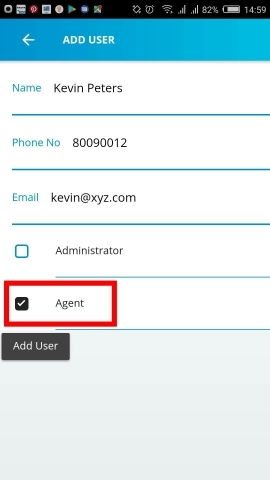 Users with agent access can create a job that is automatically assigned to them. They cannot assign a job to another user. 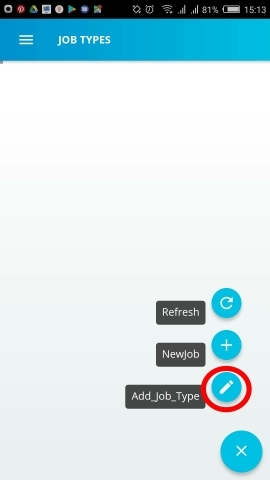 Select 'Open Jobs' from App menu. Open Jobs page lists all jobs that are not yet completed and in ‘open’ state. 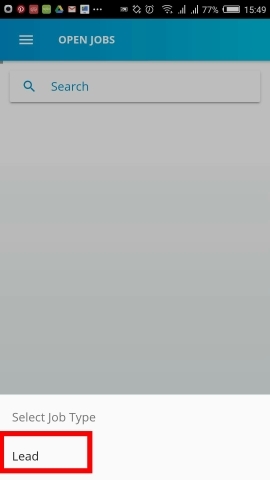 Select 'New Job' from the floating menu at the bottom of the page. Enter the Job details and assign to one of the users. Click on Submit. The job is created and is displayed in "Open Jobs" page. For a new job, the assigned user gets a push notification(*) and the job can be viewed under 'Open Jobs'. Note: Mandatory fields can be skipped at the time of job creation. But these are validated when completing a job. 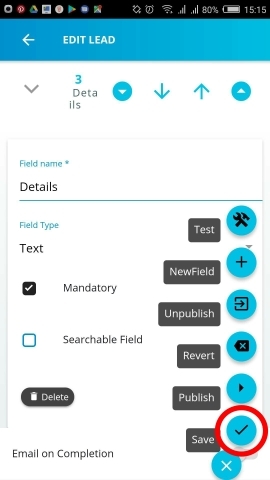 A job cannot be completed until all the mandatory fields are filled. (*) Push notifications are received only if internet is enabled and app is running. Click on the Job name to view job details. To edit details, select 'Edit' option from the Floating menu button on the details page. Accept/Reject a Job: Clicking on the Accept or Reject button changes the status of the job to 'Accepted' or 'Rejected'. 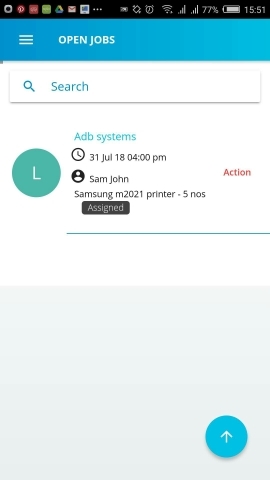 A notification is sent to the administrator users. Complete: Clicking complete changes the status of the job to 'Completed' and the job is moved to the Closed Jobs. To complete a job, all the mandatory fields in the job form should be filled. If any of the fields are not filled, an edit page is displayed where user can update missing details. 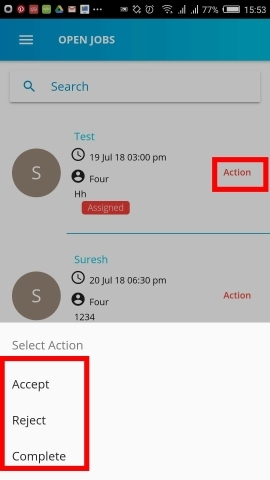 The job can then be completed from Action menu. Status Updates and Notifications for the day can be viewed in the 'Notification' page of the app. This page displays all status updates along with time stamp. Click on any notification to view the job details. Select 'Closed Jobs' from app menu. Select month from the slider and click on the triangle symbol to view all completed jobs for the selected month. Click on job name to view details of the job. 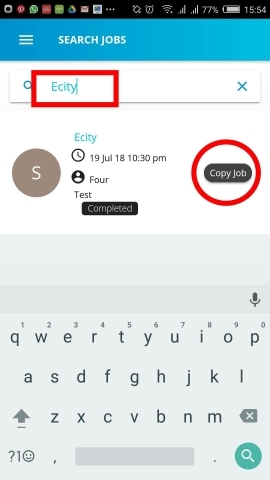 ‘Search’ page in the app menu allows user to search for any past job based on the job name (i.e. the first field of the job form). It is also possible to copy an old job instead of creating it from scratch. 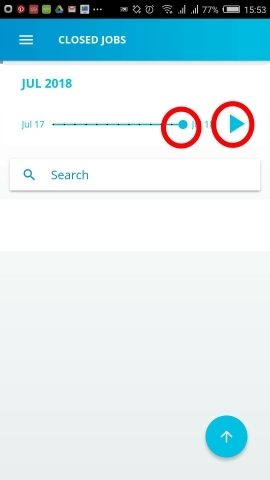 Select 'Search' from app menu. Enter job name or the value of the field set as searchable in the job form configuration. All matching jobs are displayed. Click on 'Copy job' in search results to create a new job with details from the old job. Reports can be downloaded in csv format for both open and completed jobs. 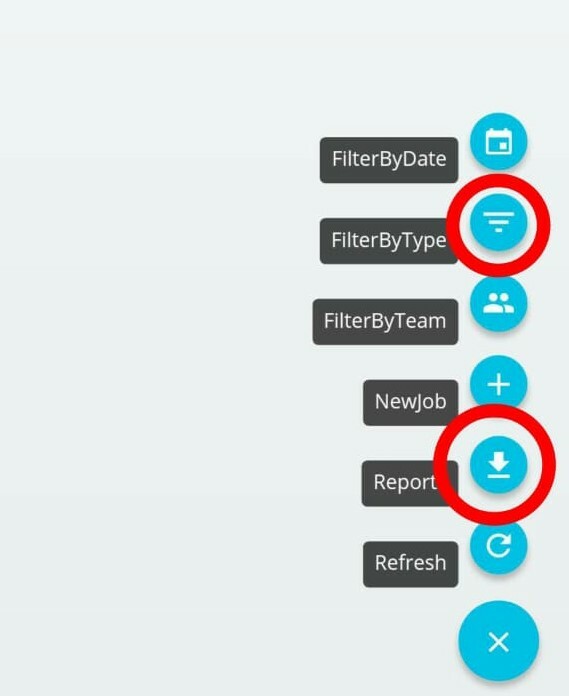 Select 'Open Jobs' or ‘Closed Jobs’ from app menu. Click on reports, to download the report. 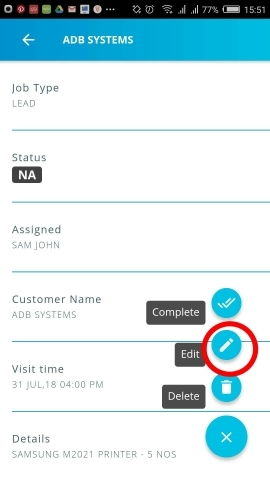 Select 'Configuration’ from app menu and select the job type for which email needs to be enabled. Click on the slider button next to ‘Email on completion’ to enable email notifications. Email notifications will be sent to the administrator users and the user to whom the job is assigned.